My approach was to combine the design language of Braun with my own design language. The poster consists of “Braun 55–95” set in a typeface constructed using a strict grid of modular circular units. 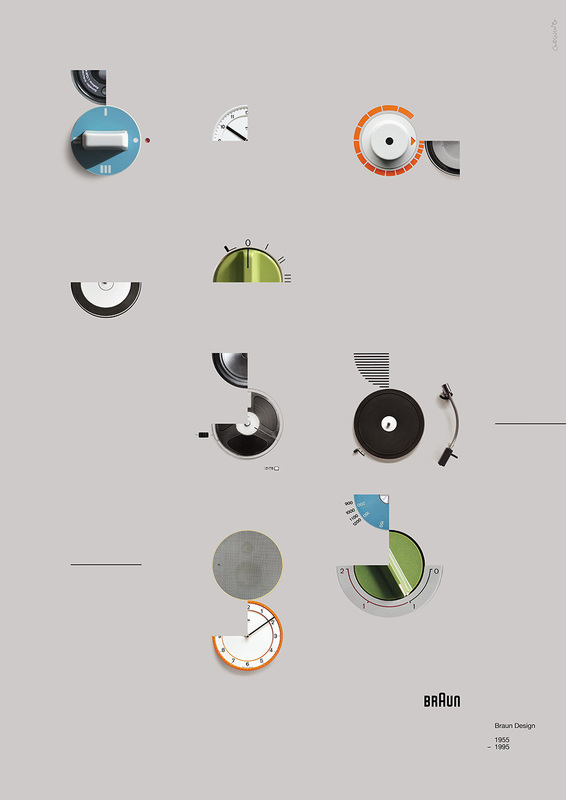 Each unit is made from an image of a circular Braun component. The component accessories are often included to add a sense playfulness and context. The poster provides glimpses of the Braun style over the four decades.